This book features all things fashion, from fashion suits to dresses to jackets to bags, accessories, fabrics, and more. 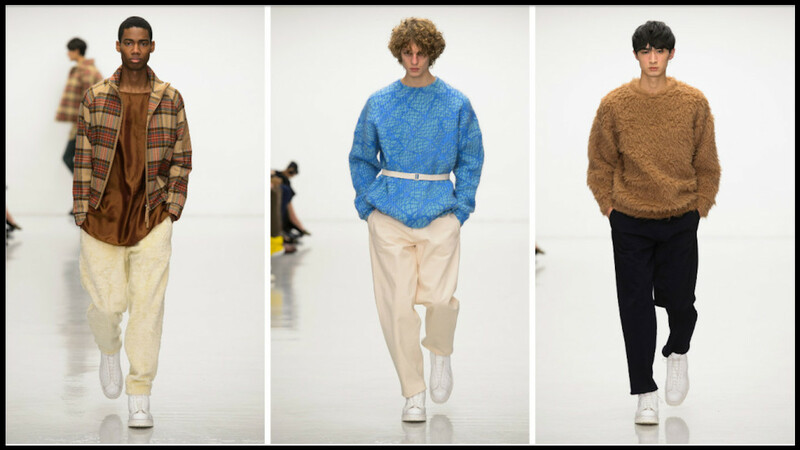 See current and popular runway styles, along with the latest street fashion trends and international designs. Scroll down for links to fashion suits at a discount, free sewing patterns, more Free Books, and other free printable items. SHEER: Refers to any see-through fabric. SHELF BRA: 1. A cupless bra. 2. A bra that is built into a garment. SHERPA: A heavy fabric resembling the fleece of a sheep. Often used for trim and lining. 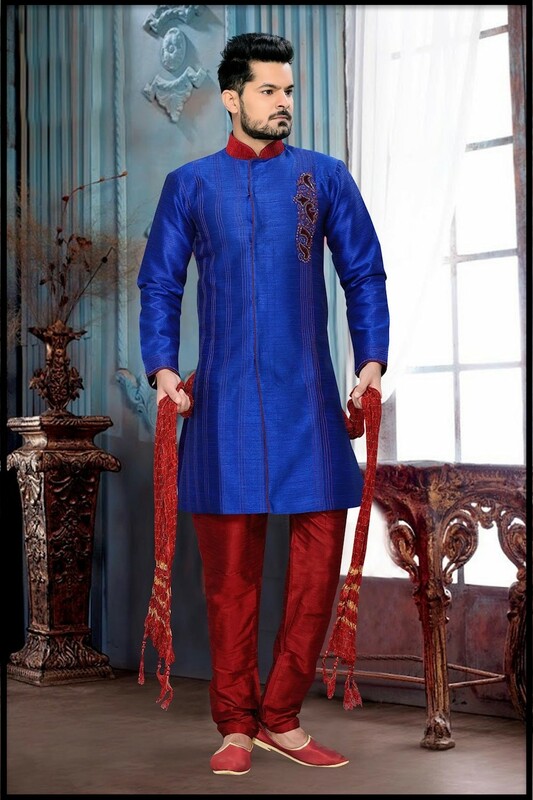 SHERWANI: A knee-length, front buttoning men's outer garment. SHETLAND: Any shaggy, knit, or woven wool tweed fabric. SHIRRED WAIST: A figure-enhancing effect achieved by gathering the garment fabric along multiple vertical parallel seams. 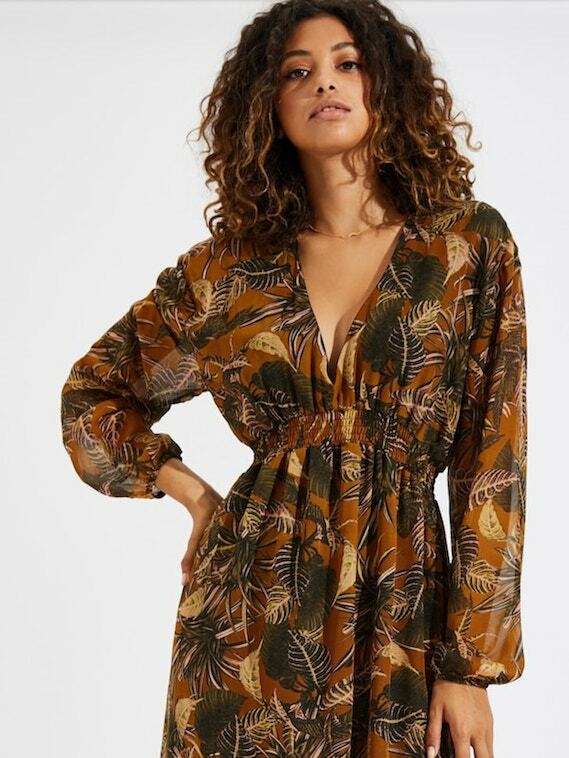 SHIRT DRESS: A menswear-inspired frock featuring the details of a men's dress shirt, such as a pointed, turned down collar, cuffed sleeves, and a front button closure. 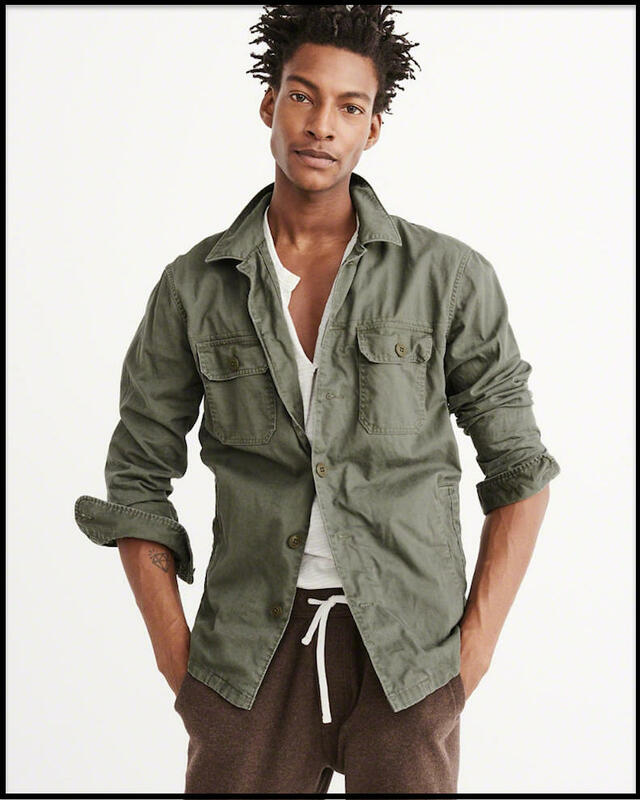 SHIRT JACKET: A garment constructed like a collared, button-down shirt, but made with heavier fabric and roomy enough to be worn as outerwear. SHORTS: Short pants, hemmed or cut somewhere above the knee. 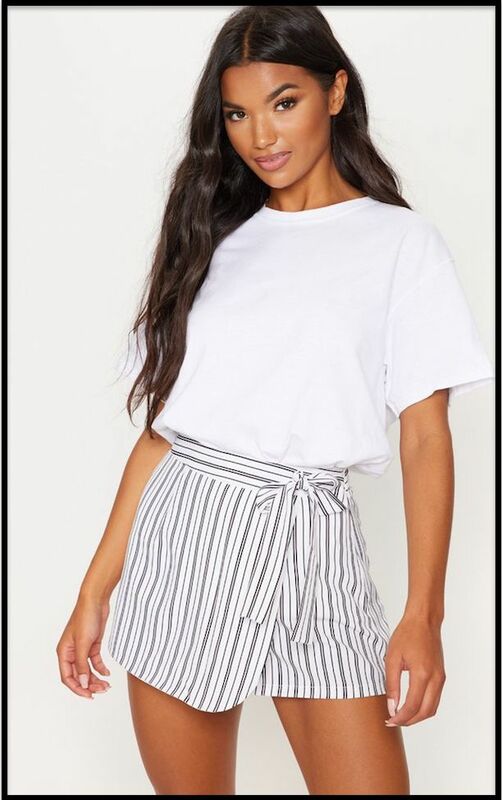 Shown below, biker shorts are the newest fashion suits for 2019. 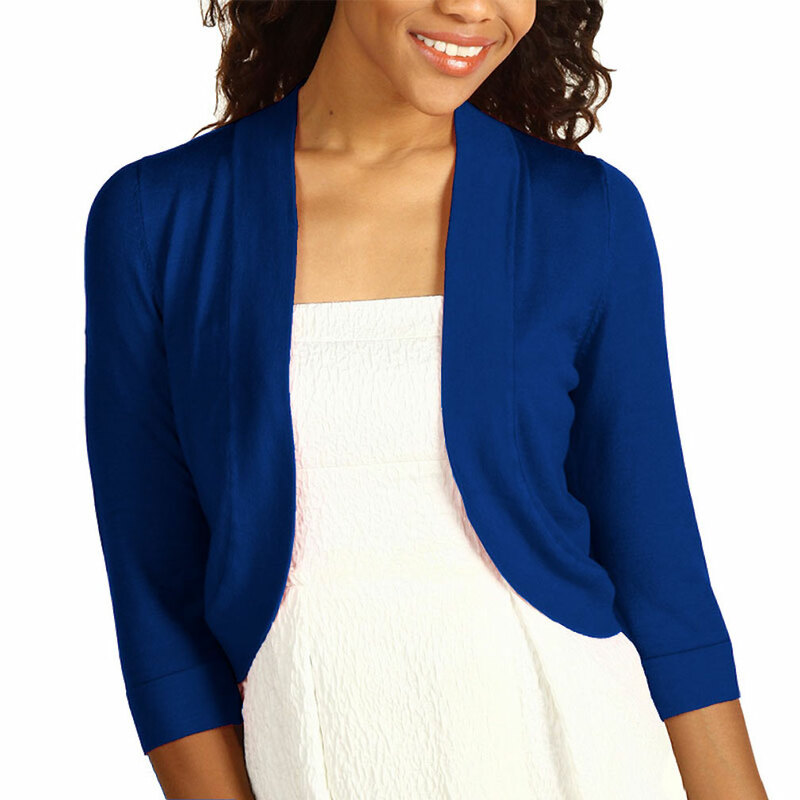 SHRUG: A jacket of waist length or shorter, usually open at the front. SILHOUETTE: The shape of the outline of an outfit. SILK: A fine, lustrous fabric made from the natural filament fiber produced by silkworms building cocoons. Often used for fashion suits and dresses. SILKSCREEN: A popular printing technique used for adding permanent pigments to fabric. SIZE HERO: A plus sized person who knows how to "own" it (a pun on "size zero"). 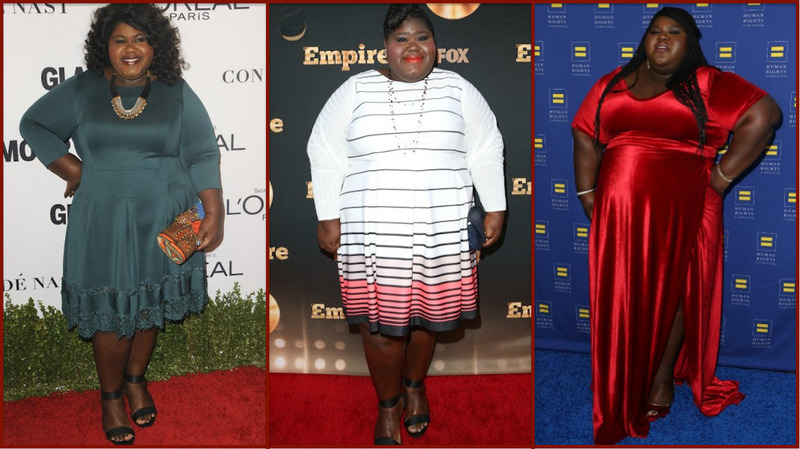 Shown below, size hero Gaby Sidibe and size hero Beth Ditto, two very fashionable ladies. SKIMMER: A lightweight, summery, slip-on dress. Also known as a shift dress. SKORT: Shorts with a front flap covering to make them resemble a skirt when viewed from the front. Also known as culottes. 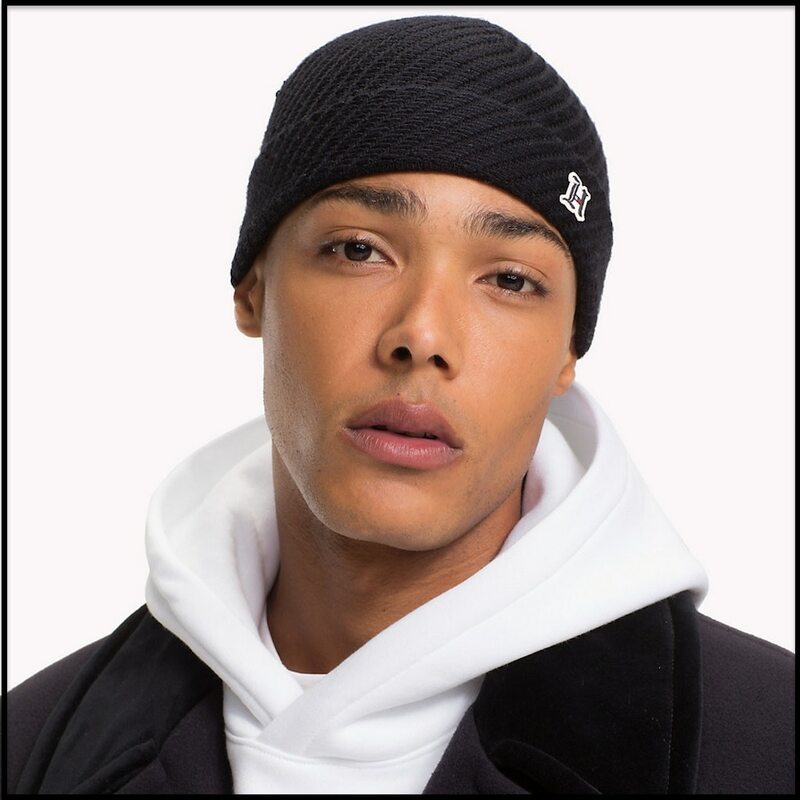 SKULLCAP: A round, knit hat that fits snugly on the head, typically covering the ears. Also known as a beanie. SLASHINGS: Small, deliberate cuts in fabric, designed to show what's underneath the garment. SLINGBACK: An open shoe with a thin strap around the back of the foot to hold the shoe in place. 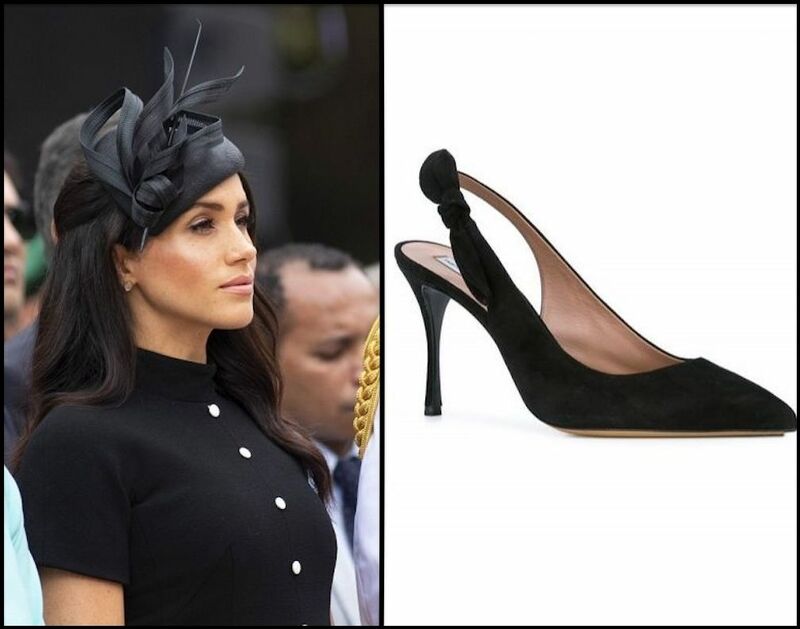 Below, Meghan Markle's black slingback pumps by Tabitha Simmons. SLINKY: A term referring to any fabric or garment with a slight bounce in its movement. SLOPE: A general term that refers to loose garments such as muumuus, tunics, smocks, and coverups. 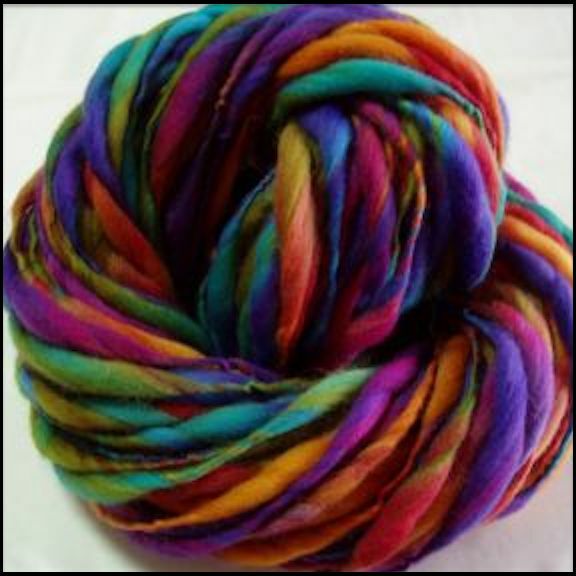 SLUB: A drawn and twisted strand of textile fiber prepared for the spinning process. Learn how to make your own Fashion Suits at Fashion Colleges Near You. 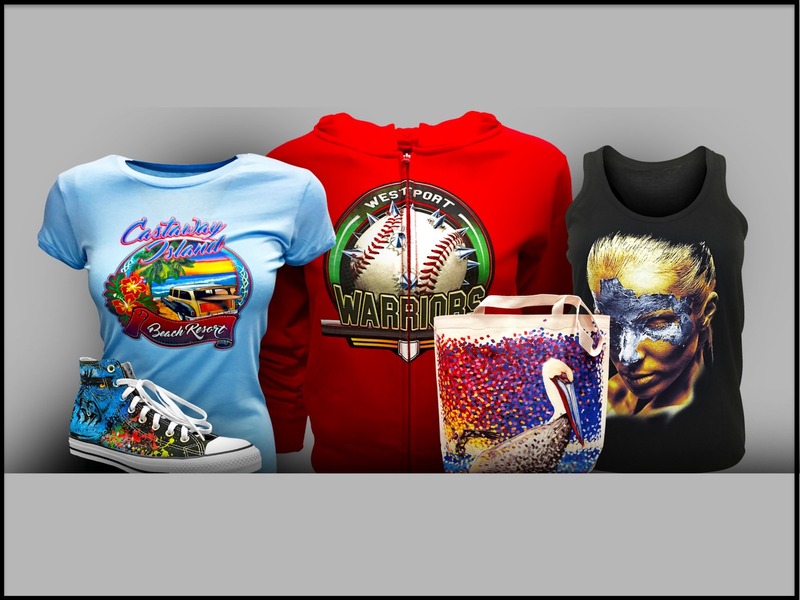 FACTORY OUTLETS IN EVERY STATE provides a detailed list of outlet stores Near You, featuring discounts on Fashion Suits, jackets, dresses, jeans, and more.